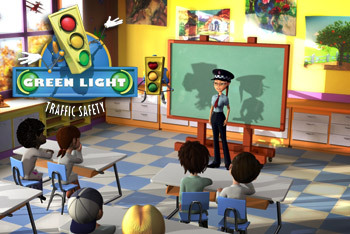 Green Light is an educational animated TV show to help kids to learn about the basic Traffic road Safety Regulations in a funny way with cartoons. Children are in a traffic safety school. Fabio, a greenlight and a traffic agent explain them the security on a car, bus, or when you walk in the street. Everything explained with examples so kids can easily learn. Hello colleagues, how is everything?